In this case, students work in small groups to analyze and critically evaluate the often political nature of news stories. The case was developed from two newspaper articles published in the New York Times and Wall Street Journal about the release of an EPA report on the state of the environment. While the New York Times article discusses White House editing of the report, which eliminated several references to the causes and dangers of global warming, the Wall Street Journal article focuses more on the report’s evidence of environmental improvements. 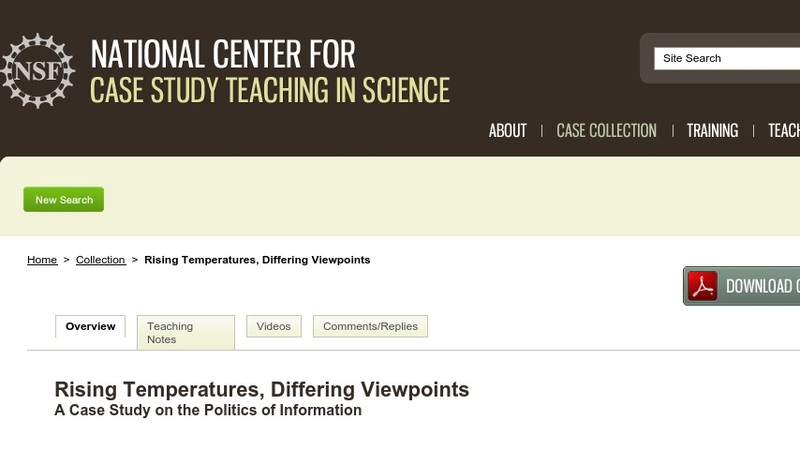 Developed for an undergraduate information literacy course, the subject matter of the case also makes it suitable for use in undergraduate level courses in environmental studies, journalism, or political science.